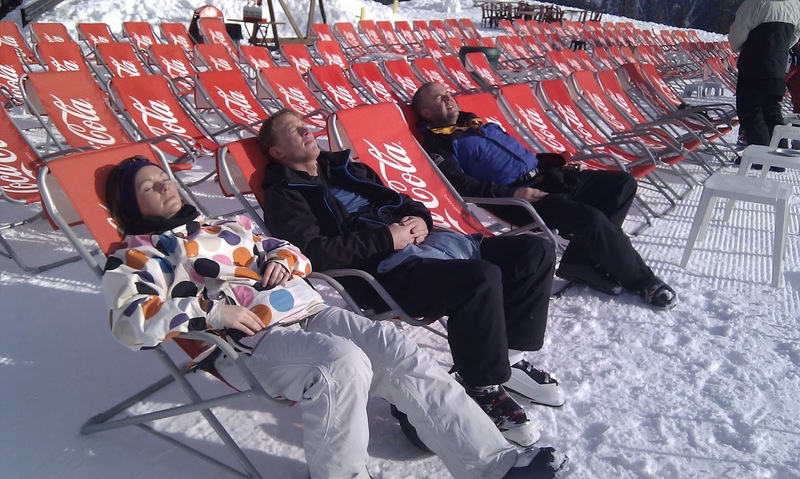 This time five years ago, I was skiing in Serre Chevalier with some faves. And there was the day when the weather was so bad, the wind was so strong, that we couldn't make it home via our usual lift and had to ski down to the valley (I think past the hotel where I'd stayed on my school trip as a child) and catch the bus back to Briancon. We definitely earned our time in the steam room that day. They gave us a free shot after dinner. Stu refused to drink his. Louzle tried to get tough with him and he told her not to use her teacher ways on him, which was funny. It wasn't Stu's holiday, really. He had said he was a really good skier - lots of difficult runs completed during a three week trip to Whistler - but he struggled with the portion of the red run on the first day. Hence, we didn't really ski with him. During this trip, I skied a natural half pipe and conquered a button lift I had fallen off as a child. It was a great resort and epic amounts of fun. Louzle hurt her shoulder doing a ski cross though. She tried to overtake me, dropped a distance off a lip that didn't look like a lip, skied into unpisted snow and crashed through two fences. 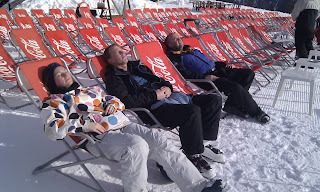 She has only skied once since then, I think, and that was on the school trip four months after this. This might be why I have never been able to convince them we should go again.